That storm to the south of OKC heading towards Purcell is rotating way up there in height. That one could turn out a long duration event...! Fox News has it LIVE. 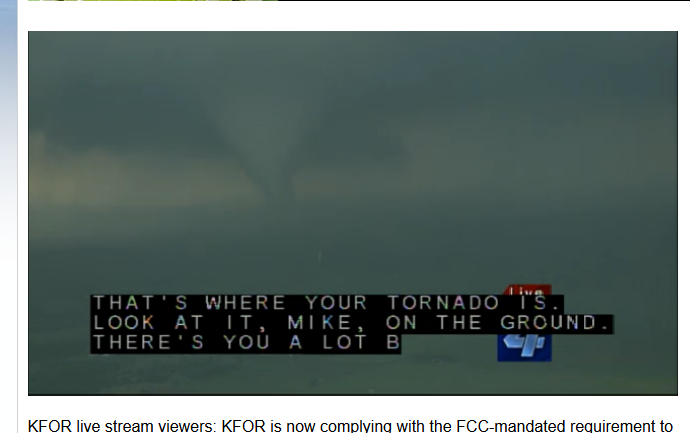 Prayers for OKC please, huge tornado right in the middle of the city! 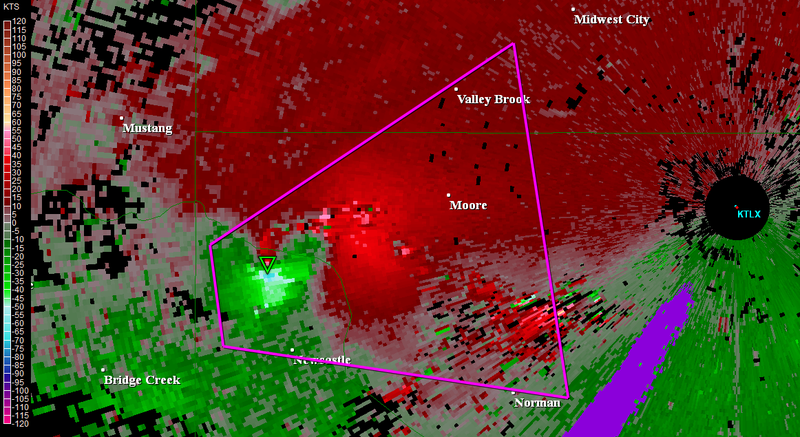 Tornado emergency for Moore and southern OKC. Seems like Moore gets hit every year. “Could be a May 3rd Event”. Everyone in Moore knows what that means. Oh my, one of those worst case scenarios. 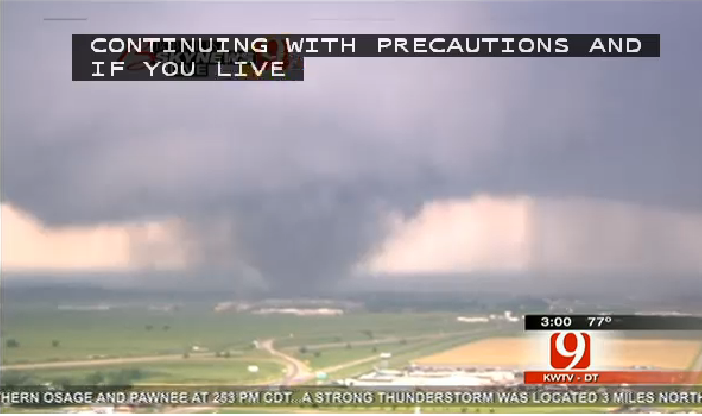 Huge tornado cutting a swath through a large city. Prayers up. God Bless our neighbors to the north in Oklahoma, great people, always enjoy visiting the state, but man, it is cursed with these tornadoes. Sure we get our share in Texas, but not like they get it. This is a big one on the ground south of Ok.City. Looks like a mini-hurricane, complete with an eye. 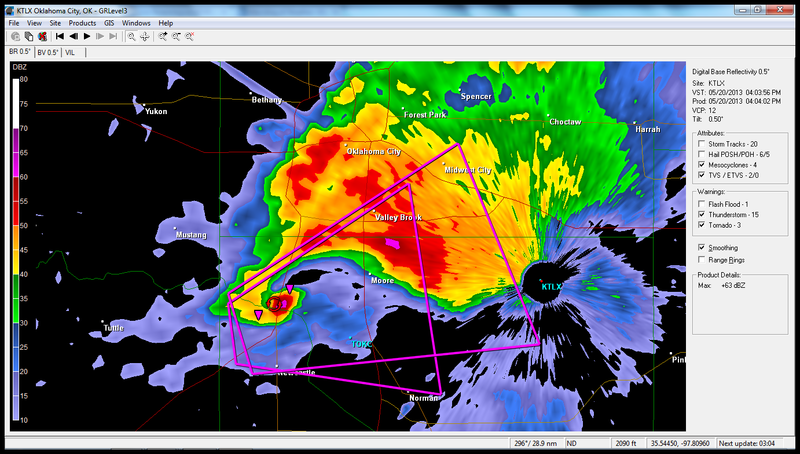 I don’t think I have ever seen a tornado as evident as in that radar loop. Almost like watch the path of hurricane.